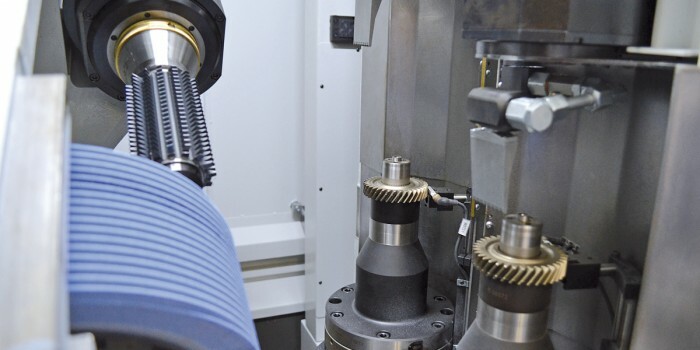 This state-of-the-art process eliminates the need for cooling oil during the hard finishing grinding of the toothed gear after the heat treatment. On the SG 160 SKYGRIND machine the process is split in two main passes: roughing and finishing. 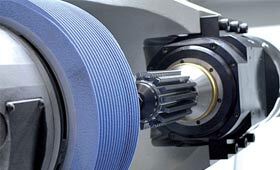 For the roughing process skive hobbing is implied, whereas worm grinding is used for the finishing process. The SG 160 SKYGRIND removes about the 90% of the stock allowance with the first pass using a hobbing tool, which has the advantage of not heating the workpiece excessively. 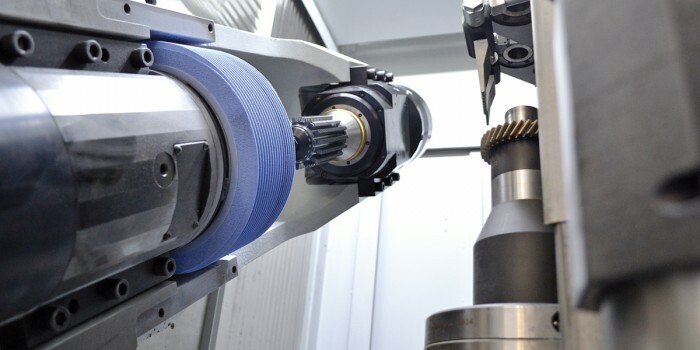 Subsequently, with the second finishing pass, a grinding wheel removes the remaining stock without causing problems of overheating the workpiece, therefore resulting in a completely dry process. Moreover, its innovative structure with two spindles actuated by linear motors and the use of more channels simultaneously ensure a time of chip-to-chip of less than 2 seconds. 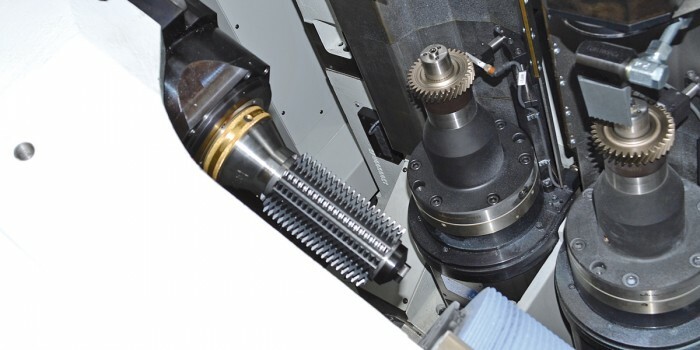 The SG 160 SKYGRIND splits the X-axis of traditional machines into two linear slides (X1, X2), each of which carries tools spindles. In this way both workspindles are under full position control any time. Being driven by high dynamic 30 m/s linear motors, changing spindles come down to less than 2 seconds including simultaneous repositioning of the tools with the Y-Z-A axes. 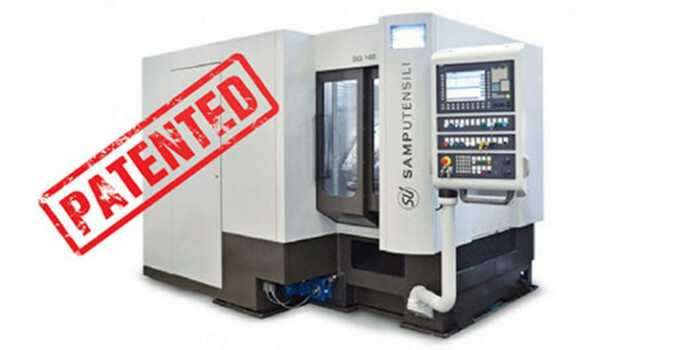 The new grinding SG 160 SKYGRIND of Samputensili ensures cycle times for the finishing of gears that are perfectly in line with the automotive industry, at a lower cost compared to traditional manufacturing solutions. The SG 160 SKYGRIND is an amazingly productive machine, even faster than traditional dual table grinding machines, characterized by a very small footprint and a lower cost of investment for auxiliary equipment. More importantly, by totally eliminating the need for cutting oils, the machine is extremely environmental friendly. Chip-to-chip time less than 2 sec.